The Envoy series, brings an outstanding addition to the Drive range of mobility scooters, with a brilliant performance similar to much bigger models. These all-terrain mobility scooters provide a series of excellent features that include- all round suspension, batteries that last longer and LED headlights. Envoy offers a stylish new design and is capable of a 48km travel range. 2 Years comprehensive warranty. What is the maximum range of the Envoy 4 Plus Mobility Scooter? What is the battery power of the Envoy 4 Plus Mobility Scooter? Is the Envoy 4 Plus Mobility Scooter heavy? The Envoy 4 Plus Mobility Scooter weighs 94kgs and is equipped to carry 160kg. Is the Envoy 4 Plus Mobility Scooter available in many colors? 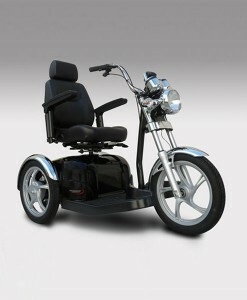 The Envoy 4 Plus Mobility Scooter is available in red and blue color as an option. How wide is the scooter from wheel to wheel?